Tiny Tips for Library Fun: Show Me the Awesome You Schools! 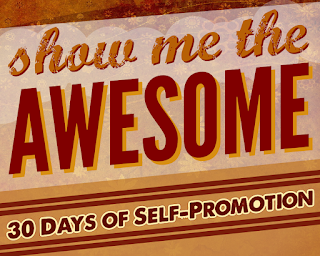 Show Me the Awesome You Schools! Ok let's get totally awesome here! 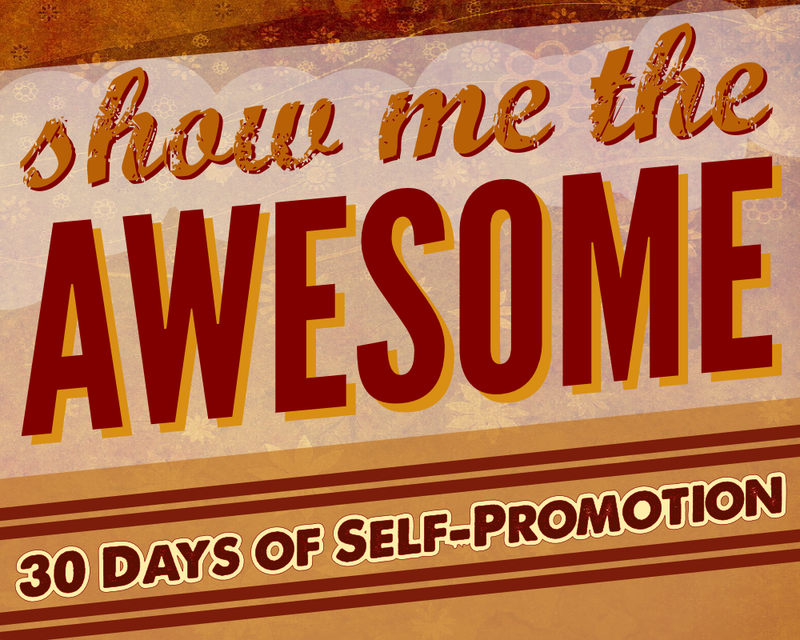 Today, I’m participating in the blog series, “Show Me the Awesome!” that was started by Kelly, Liz, and Sophie. It's a chance to step up and talk about something special that you've done or want to promote, for instance. For more AWESOME, please check over at their sites for the official link-up. Also, don’t forget the tag #30awesome on Twitter, Tumblr, Vine and/or Instagram if you’re liking what you’re reading and want to talk about it! One of the things I'm proudest of in my career is my success building partnerships and working with public schools in my communities. I didn't think too much about it until I started to tune into the fact that colleagues seemed to have far fewer happy collaboration stories than I did. Not only far fewer happy stories but also far more horror stories. Did I just always luck out and get jobs in great communities with uber-responsive schools? Hmmm. I don't think so. My secret has been confidence, dogged persistence and patience. Each time I move into a community, I make appointments to meet individually with all the principals for a chat. I also meet with school media colleagues. If I have a question about the reading curriculum, I meet with the reading teachers. If I am wondering about a policy or subject being taught with third graders I reach out to those teachers. I drive wherever in the school district I need to go to be there rather than asking the staff to come find me. What is the subject of most of these meetings? I introduce myself. I ask, "What can I do for you?" and we chat about the library and their dreams, concerns, pressures and how we might work together. I don't bring ideas as much as let my colleagues know I am there to support them and make magic happen when they are ready. Everybody is my potential partner and colleague - not just LMC colleagues - but everybody. I work with and will put together or join in meetings with reading coordinators, LMC folks, curriculum folks, principals, grade level teachers to talk about mutual concerns and mull ideas. If I can't get my foot in the door, I enlist my director or a board member with strong school ties to help me open the door. One director set up a meeting with the principals, curriculum director, LMC folks, superintendent that resulted in decades of positive collaborative work (mutual programs, schools presenting programs at the library, school vans delivering library materials to the schools, shared collections and more). The tenor was so positive that staffers took it for granted that we would be there for them and the partnerships were dynamic - kids won far more than we did in this situation. I also chat with classroom teachers who come into the public library - listen to what they need and ask for suggestions for what we might do to help them in their work. I make sure that I have at least one school staff advocate for the public library in every school and we build from there. I make sure that I am there for them as much as they are there for me. Ideas have to be created equally and honored equally. Listening and creating together is key. If the relationship works, I also meet with our school superintendent as a colleague - not as a lesser asking to speak with someone far above me - but as an equal. I make the case for our mutual work in literacy and how the public library is the school's best friend. And on we go from there. Is it easy? No, it takes time, the ability to listen and understand needs far different than our public library needs. It takes commitment and the ability to keep knocking on doors until the first one opens. Once that starts, more doors open and then more. Partnership ideas sprout up and success builds on success. Another key ingredient: I don't make demands or work on a proposal before I meet with school folks. First we just chat and look for mutual areas of benefit. From that point we start to explore ideas for action . It's a delicate dance to honor both of our needs and perspectives but once started, it just keeps rolling. I often hear people say "Well, I created this and brought it to the schools, and nobody liked it or wanted it." Creating on your own in a partnership isn't a collaboration- it's looking in the mirror. It may please you, but will it really answer a need that schools have? When I moved to my present job almost five years ago, I had alot of trepidation. I left a hugely strong collaborative partnership of decades at my last job. There was a little collaboration happening at this new job with the schools. Could I start all over to strengthen the ties and encourage my team? The answer is a resounding yes. First with one principal who opened the door to others. Then with a couple of the LMC people who met and planned with us. Now with classroom teachers. Once more the partnerships and collaboration are growing and strengthening. My team is stepping up and out as partners and developing even stronger ties and initiatives. I think my mantra on this is from the Galaxy Quest movie: "Never give up; never surrender". It's what has made the collaboration with schools an ever-present awesome in my work. To see more tips, stop by my recent series on real-world, real-life suggestions for collaborative work. It can be done and we all can be awesome at it! And share successes you've had too. I love to hear how public librarians and school folks are bringing it!